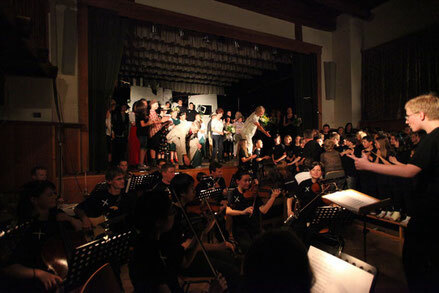 World premiere: June 8, 2010, arts festival regional10 in cooperation with the Raumberg International Chamber Music Festival; Irdning, Austria. Commissioned by regional10 and Raumberg International Chamber Music Festival. Tu, was du willst was part of the arts festival regionale10 and was on tour through the district of Liezen, Austria in June of 2010.
auftaucht, droht der Konflikt zu eskalieren.